Mademoiselle is trying Thanksgiving on her own! 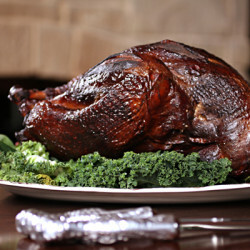 Mimi sent her a fully cooked Thanksgiving turkey from Greenberg Smoked Turkeys. Read on… Turkeys from Tyler, Texas?